Landry Miller joins Patrick and Roy Johnson from Tulsa, Oklahoma. 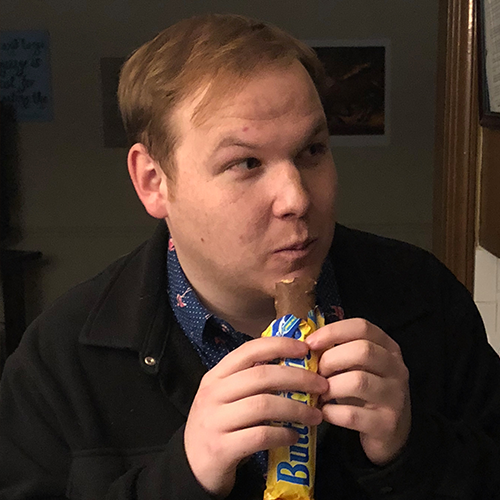 Landry is a young comedian who, in addition to hosting the shows at the club for the week, prides himself on being simultaneously too good and not good enough for everyone else in the world. Landry started comedy at age twelve while branching out from magic, and Roy and Patrick are fascinated by him for some reason. Roy’s friend Jeff also joins us to talk about his teaching techniques. We read some comment cards from the club, try to get Landry to do a Seinfeld impression, and much more.